2000 1971. This watch has the coil on the balance wheel, three fixed magnets with separate electronic components (3 transistors, 3 resistors and 1 capacitor) with a frequency of 4 Hz. 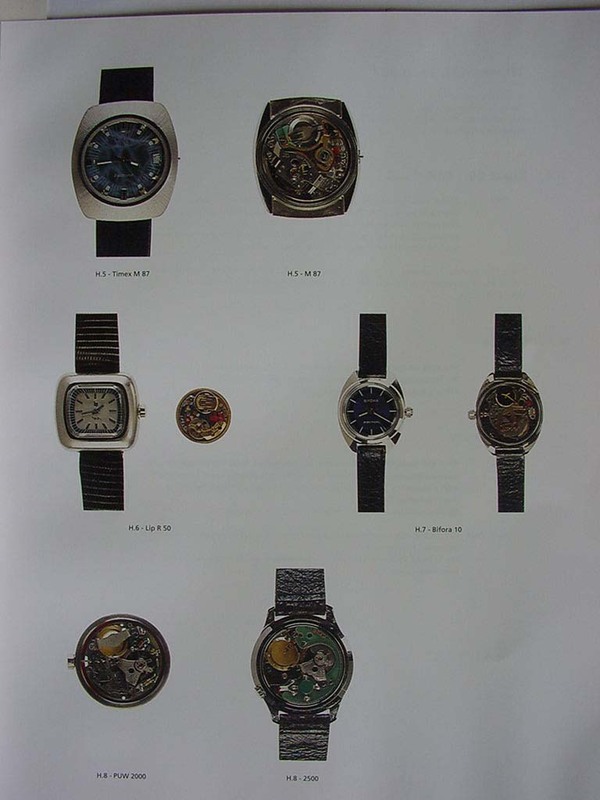 These rare watches were produced only for a short period of time. Derived calibers: Porta 2001 date and 2002 day and date. 2501, 2502 1971. Both with an integrated circuit (TBA 840) of ITT-Intermetall Freiburg Germany. Frequency 4 Hz. The calibers 2508 and 2509 are nearly the same as 2501 (day-date) and 2502 (day-date).